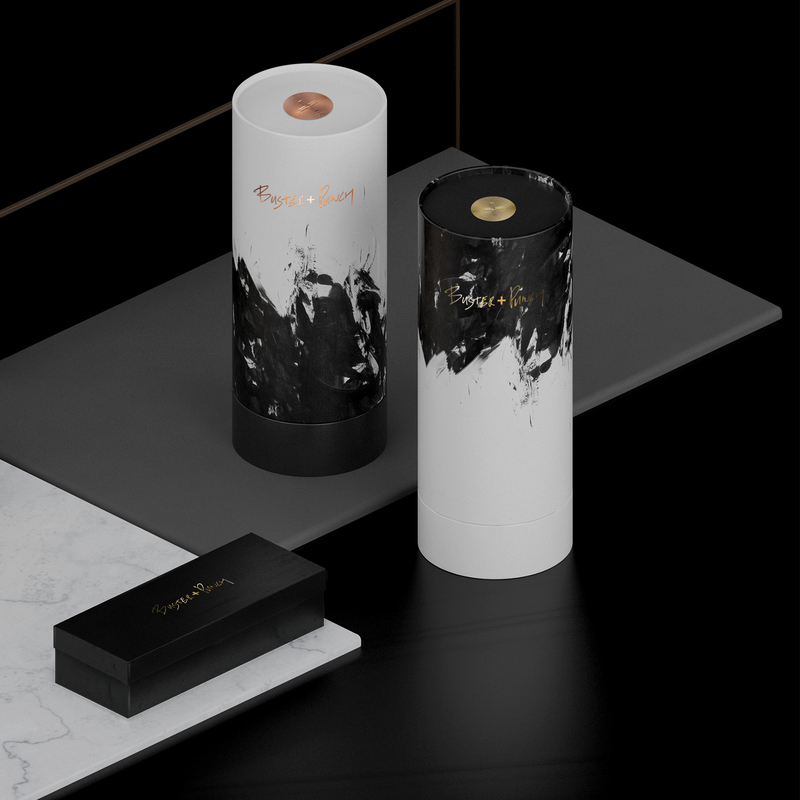 We have often heard the saying it’s what’s inside that counts, but at Buster + Punch we believe beautiful packaging is as important as our products. Great products without great packaging is paramount to forgetting to ice your cake in the season finale of The Great British Bake Off. This is why we asked our long time friends ILOVEDUST, to design fresh packaging for Autumn / Winter 2017. Our close relationship with ILOVEDUST came from a mutual appreciation of motorcycles, shared with the team over at Boneshaker Choppers. 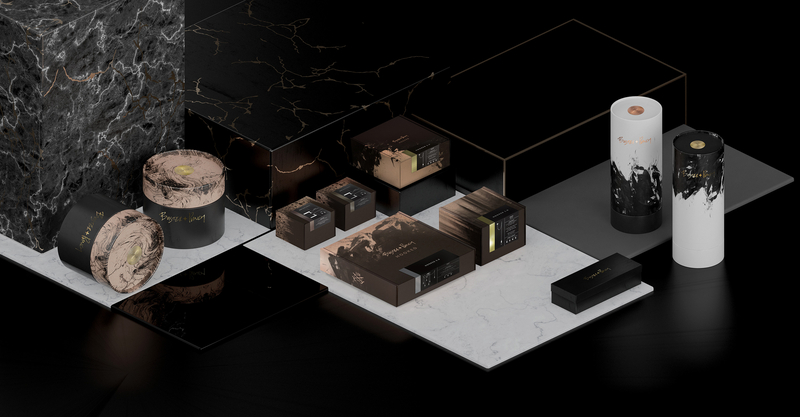 ILOVEDUST are regarded as legends on the British design scene and Buster + Punch was aware of their work for Nike, Kiehl’s and Meat Liquor a while before approaching them to design this packaging collection. The finished result is ‘anti packaging’, in that the design is purposefully imperfect. Inspired by garage f***-ups; oil splashes, grease marks and welding sparks, the designs on the boxes reference the mistakes which inevitably happen when working with motorcycles. Each product range has a bespoke pattern, the oil spills for HARDWARE and ‘electrocuted’ for ELECTRICITY. When you stack the boxes side by side on the shelves of the Buster + Punch store, they create their own pattern. The decision to print onto cardboard took inspiration from traditional, British, family run hardware shops or the French ‘quincaillerie’, where unbranded cardboard boxes are stacked from floor to ceiling and ‘chaos’ is central to the charm of the stores. Inside the new cardboard packaging, Buster + Punch products come encased within recyclable black card, made from black sugar cane.